Now’s your chance to secure a beautiful home on the coveted ‘M’ streets in Grosse Pointe Farms. This updated and move-in-ready colonial boasts an elegant living room with bay windows and a fireplace, a chic dining room, AND a charming family room! 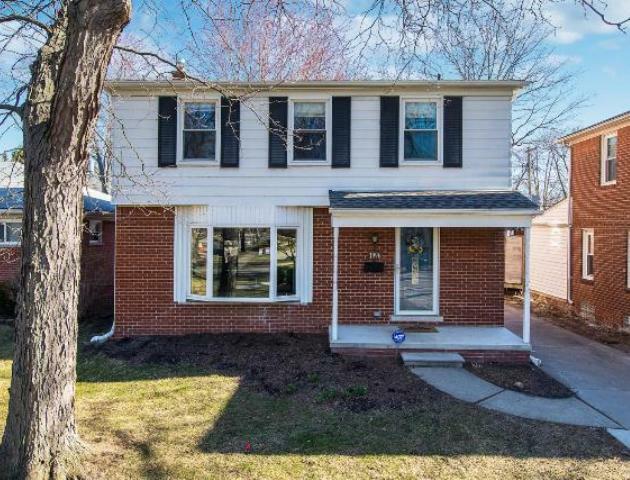 Complete with newer windows, attractive hardwood floors, three bedrooms, a very spacious full bathroom, a first floor half bathroom and a partially finished basement. This home has great curb appeal with a lovely backyard and privacy fence. A fabulous location. Walkable to delicious restaurants, storefronts, and specialty stores. One block from the local grocery store, Village Market. Close to schools, the library, playgrounds and access to the Pier Park, (which is on Lake St. Clair, and has: a beach, adult and baby pools, a splash pad, concession stand, infant, toddler and kid playgrounds, a gorgeous activity center and much, much more! ).